Was a Military hero: Drove British forces from port of Toulon, captured northern Italy and forced Austrian Hapsburgs to make peace, led Egyptian expedition in 1798. 1799: Took control of the Directory by coup d’état and established a three-man Consulate with himself as First Consul. 1802: He proclaimed himself consul for life. Napoleon ruled a democratic despotism: He had absolute power regardless of the fact that he held plebiscites. Peasants kept lands they had bought. New nobility established through a meritocracy (e.g., Legion of Honor). But women lost many of their rights. Concordat of 1801: Church under governmental control and religious freedom. 1804-1802 – Military successes due to leadership skills, large armies, and surprise tactics. Annexed parts of Germany and Italy as well as Belgium and the Netherlands. Placed puppet rulers in conquered thrones (e.g., Joseph Bonaparte as king of Spain. Nationalism grew with Napoleon’s successes in France and in the areas he conquered. 1805: France tried to invade Great Britain, Admiral Horatio Nelson defeated him at the Battle of Trafalgar. Napoleon struck back with the Continental System but Continental system failed because European countries wanted and needed trade. Napoleonic Code spread even to areas beyond the French empire such as the Spanish and Portuguese colonies in Latin America. Local rulers formed juntas to maintain power as they did not want to give powers to former kings. 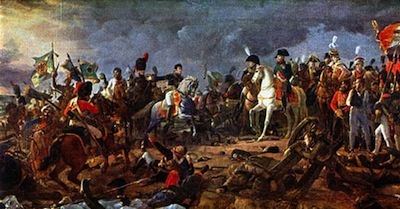 Tsar Alexander I withdrew from the French alliance because of the unpopularity of the Continental System and Grand Duchy of Warsaw. Napoleon assembled the Grand Armée from 20 nations (almost 600,000 soldiers) to invade Russia in 1812. 1814 – Napoleon abdicated and was exiled to Elba in the Mediterranean area. Louis XVIII, brother of the guillotined Louis XVI, was made king of France. 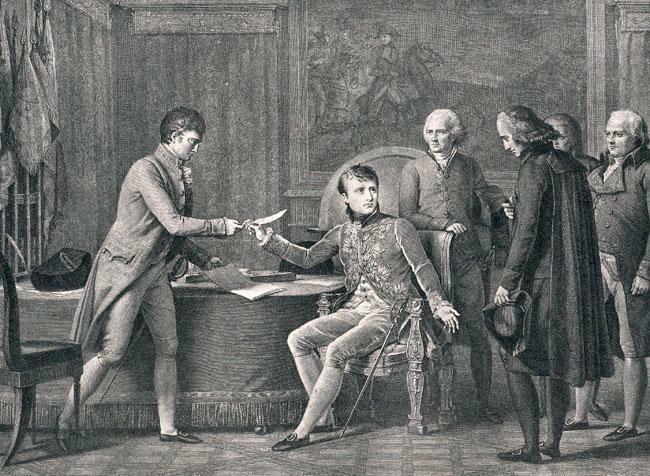 During the peace conference in Vienna, Napoleon escaped from Elba and Louis XVIII fled . 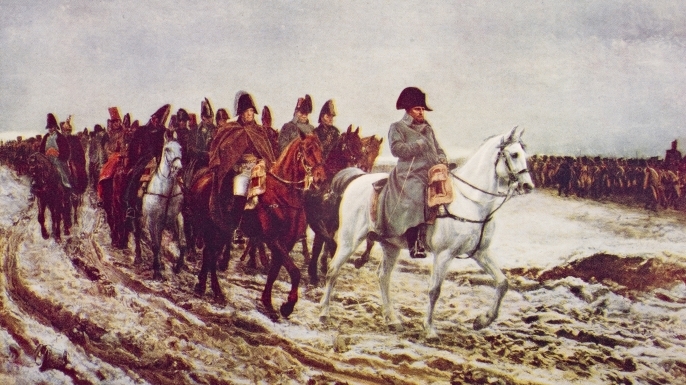 March 20, 1815: Napoleon marched triumphantly into Paris. June 18, 1815:Battle of Waterloo (in Belgium), Napoleon was defeated and exiled to St. Helena in the South Atlantic. Napoleon is one of the most controversial historical figure.